Butterfly Challenge: # 1. Butterflies and Flowers. Wahooooooo, I made it, first into your first challenge! A and really nice selection of prizes to choose from too. Looking forward to these challenges ... I do like butterflies! Love the look of this blog, Mrs. A! Glad the first challenge isn't too complicated as I'm hoping to join in. Congratulations! This is going to be a fun challenge as I love butterflies. Just found a kids size shoebox full as I was reorganizing my room in January! Every time a foun da few, I would but them in the little box and soon it was full! I have a busy week this week as I am trying to do the Winterfest challenges (like UK scrappers but in America). 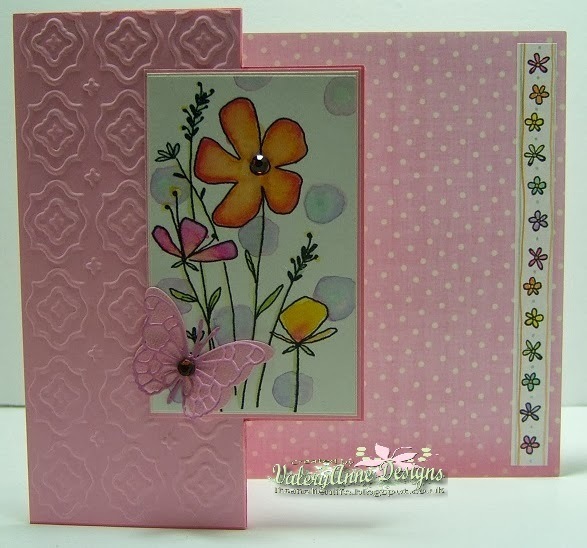 ..but I will make a butterfly card for your challenge for sure! Mrs. A ~ I'm commenting in anticipation of creating a card to say AWESOME challenge! Butterflies, flowers and who knows what else you have in mind to set our dendrites a stir! Your gallery of inspiration here: stunning!! Off to 'ponder' what I'll be sharing! You rock! Love the samples. Have posted my link. What a brilliant challenge, you can never have too many flowers or butterflies. fabulous creations for our inspiration. 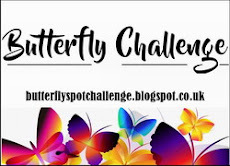 Really going to love this fab challenge, as I do love butterflies. I have just put my entry into the challenge. Peekaboo, it's me again with another card! I'm lovin what I'm seein..... I was so excited to find your new challenge and to have been able to join in on your very first challenge. Best to you with your newest endeavor. Well now, this is great fun! Sarn headed me in the right direction. Thanks! Great idea for a challenge - love your samples. Congrats on your first challenge! I'm glad I had the opportunity to participate! Your samples are so pretty, and I just love the flip-over card! Beautiful job on your inspiration samples! Oh, my, I was so excited about this challenge and then the time almmost got away from me! Congratulations, Mrs. A! Looks like your little challenge is going to be a big hit! Yipee! I finally got time to play and make a butterfly card so I could join in. Your samples are very lovely! My favorite is the first card. There is so much to like about it. They colors, the flowers, the ribbon... the polka dots! It's great. Here I am with my card (bit later than I posted it to my blog OOPS!). Congrats on starting this new challenge Mrs A. Love your examples - spesh the bottle! Playing just for fun, so please exclude me from the prizes. I am glad I found your challenge! I adore using butterflies on my cards~ Thank you. Well done on getting a new challenge up and running .. .. loving all your inspiration pieces very much. Hi Mrs A... wow your samples or DT work really are absolutely wonderful well done .. I think my fav is the door plaque well done. Congrats too on the success of your new challenge, I was really chuffed - so many playmates are over here too..
Two of my favorite items to work with :) Look forward to playing along. Good luck with your new challenge, Mrs. A! I think it's going to be very popular! Gorgeous samples to start things off with. Oh, and thanks for reminding me about it, almost forgot when it would be starting and would hate to have missed it. Great challenge! Look forward to plaing along!!!! Such a lovely idea for a challenge and wonderful inspiration too. Thanks for visiting me Mrs. A. I guess I didn't do something right with linking up, but that is ok. I think the problem is that all my cards are in one post. Sorry about that and I totally understand!! Hugs! Look at all these wonderful entries so far!! I'm here at last Mrs A! Sorry for the delay I forgot to add my flowers!! Good luck with your new challenge although I don't think you'll need luck with all your blog love shown! 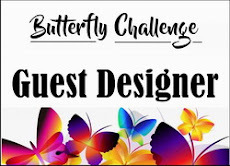 This is an awesome challenge, as I just love butterflies and use them on almost everything I ever do and flowers too, and the samples on here is truly amazing too. Wow, look at all the entries and there are certainly more to come! Congratulations!That is amazing for a new challenge blog, I think! Maybe it was your fabulous inspiration pieces or maybe everybody is just ready to move from snowflakes and hearts onto flowers and butterflies! I do think that adding a butterfly to a creation often makes it better. Can't wait to see what the new challenge will be! 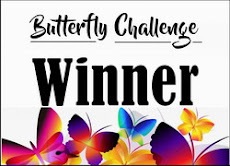 Fun challenge...I love butterflies. Looks like Ive found a new location to come play! Happy to found, ya!! 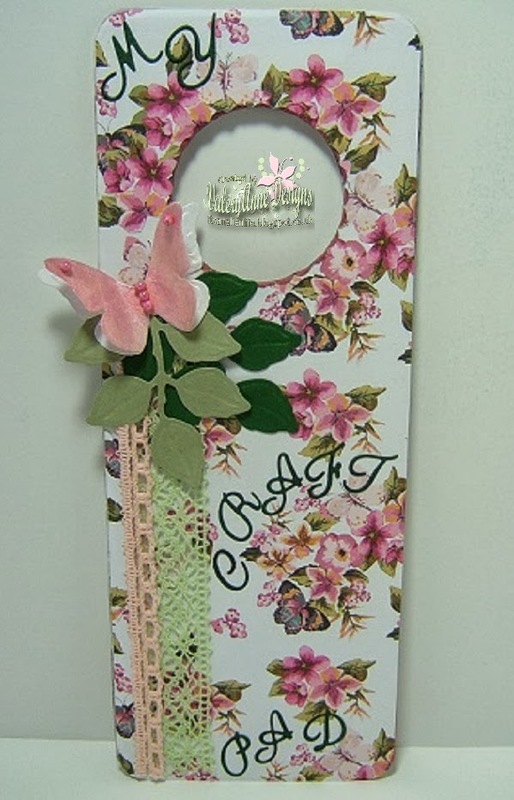 !1 I love butterflies and handmade flowers and wonderful inspiration, Jumping in the bucket of fun!! Great inspiration from you, Mrs A! This is a great challenge...it is going to become one of my favourites...I can break out my butterflies every fortnight! Wow, so many gorgeous entries! A real feast for the eyes of butterfly lovers! Just added my second entry. Congratulations on the new challenge, what could be better than butterflies? 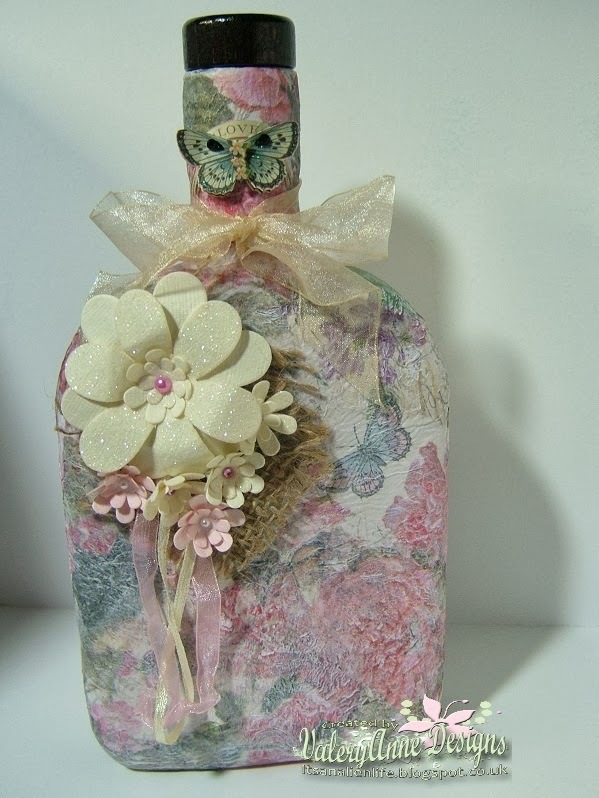 I love your inspiration pieces, especially the decorated bottle, it's so pretty. I have linked up my entry and am looking forward to the next challenge. Looks like this is going to be very successful for you. Yeay I made it to your first party there Mrs A! Congratulations and haven't you done well on the numbers joining in? Third time for me Mrs A! Wahoo :) Wondering what the next challenge will be now. Didn't this take off brilliantly!! Well done and when do I get me commission cheque then? Just sneaking in at the last minute! 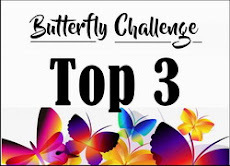 I love butterflies and this is a very fun challenge. I do not know why the link is not recorded. When I refresh the page link disappears. Congratulations, Mrs A on an extremely successful first challenge! Looking forward to the next one!